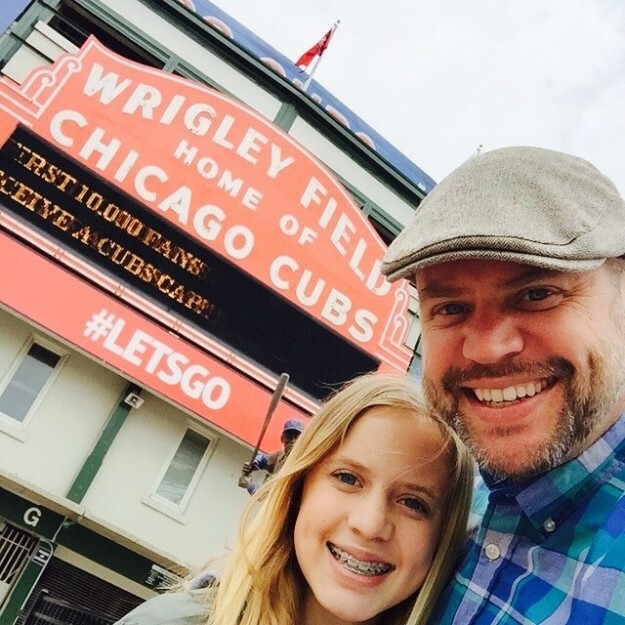 Megan Michell is a 13-year-old from California with a hilarious dad who has always loved acting and even used to want to be a voiceover artist. That’s an important detail, because Meganhasalways loved doing makeup, and started a makeup tutorial YouTube channel in August to show off her skills to her friends and family. Megan had seen a number of videos of makeup tutorials where boyfriends, husbands, and dads narrated,so she decided to ask her dad to help her do one of her own. The result is a hilarious compilation of dad-isms you can watch below, although honestly, I would be just as confused as he was and I’m an adult woman. The way he sums up palettes and brushes is completely spot-on. Then there was the Pocahontas moment that you don’t want to miss. The video went viral on Facebook with more than 30 million views, and Megan said although her dad is funny, she never expected it to take off so much. Thats the kind of stuff my dad says all the time, she said. So, when I first watched the video, I was just like, oh yeah, thats my dad, whatever. So for other people to find it hilarious was super weird!